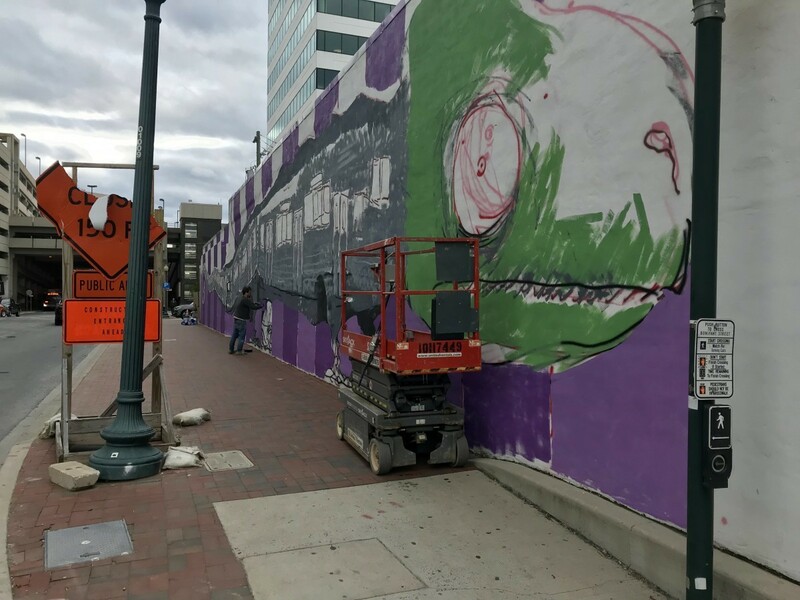 The mural, currently in progress, depicts a train-chameleon hybrid. Image by the author. 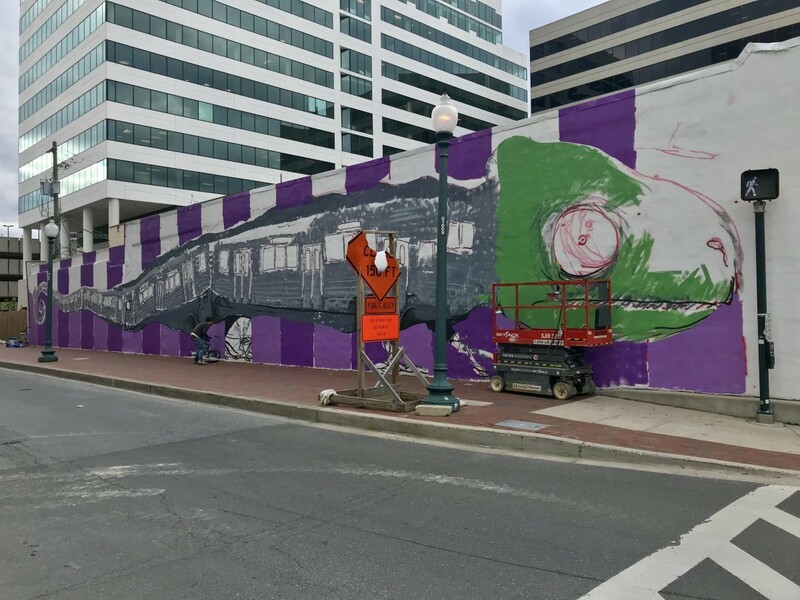 The mural fills a block-long blank wall next to the future Purple Line. Image by the author. Here's what the mural will look like when it's done. Image by Silver Spring Urban District. This post was corrected to say that the mural is of a chameleon, and not an iguana as originally written.